Manchester United and Chelsea have both submitted an enquiry to Bayern Munich this summer over the availability of Spanish midfielder Thiago Alcantara. The 27-year-old has been linked with a move away from the Bavarian club this summer, a return to Barcelona was suggested, along with the interest of United, which was reported just over a month ago as the FIFA World Cup started in Russia. It was also suggested last week that United were interested in Alcantara along with Bayern teammate Robert Lewandowski, which seems unlikely. 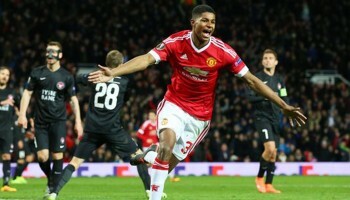 It is suggested that the interest from both United and Chelsea is stronger than that of Barcelona. Earlier in the summer, Bild reported that a fee for Alcantara could reach €70 million which is something Barcelona would not pay even for a former player of theirs. However, with both United and Chelsea seeking to rebuild in order to challenge both domestically and on the European stage. Alcantara had a lot of success since moving to Bayern from Barca, winning the Bundesliga five times, also lifting the DFB-Pokal, the DFB-Supercup and the FIFA Club World Cup. Alcantara has won 16 major honours in his time at both Bayern and Barcelona, lifting the La Liga title twice, the Copa del Rey, the Supercopa de España, the UEFA Champions League, the UEFA Super Cup and the Club World Cup all once at the Catalan club. The 27-year-old has won everything he can with the two clubs he has played for, which could spell a new challenge on the horizon. United have been heavily linked with the player before, seemingly coming close to signing him when David Moyes was the manager, the player following Pep Guardiola to Bayern with the manager ending his sabbatical. Bayern are well-stocked with midfielders at this moment in time with nine players contesting for a place in the starting XI. The Bavarian club could sanction sales for one or two this summer, in a bid to trim the squad and make competition for places a lot easier. On their book, Bayern has; Javi Martinez, Arturo Vidal, Sebastian Rudy, Corentin Tolisso, Leon Goretzka, James Rodriguez, Thomas Muller, Renato Sanches and Alcantara. There could be a lot of interest depending on which players could leave the club. United has 16 more days (after today) before the transfer window closes on the 9 August, a day before United open their Premier League campaign against Leicester City at Old Trafford. However, in Europe, the transfer window will close on the 31 August, meaning there will be two deadline days for us in the United Kingdom. Players will need to arrive before the 9 August, but clubs in England could still sell players until the FIFA imposed deadline at the end of the month. Not helpful if United do intend to try and sign Alcantara.